Is a cure for Parkinson’s or Alzheimer’s just around the corner? 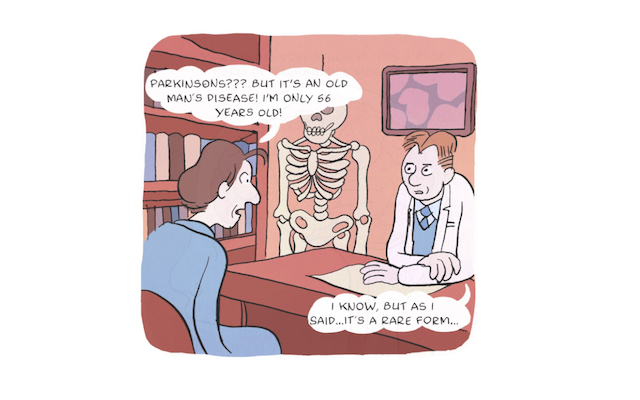 To find out, the European Research Council (ERC) is funding cutting-edge research into stem cell treatments and has commissioned an online comic series which explains the findings. 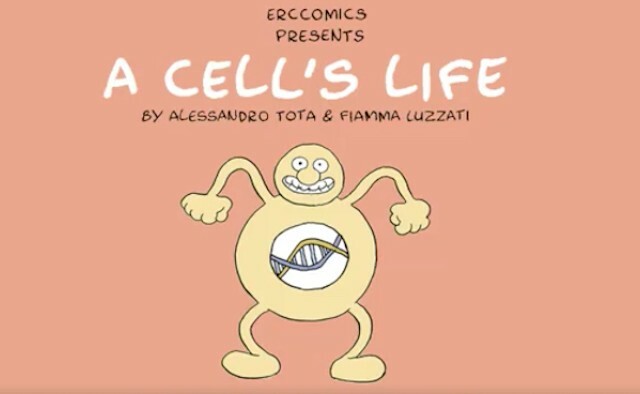 The web comics series, ‘A Cell’s Life’, follows the fate of Jojo, an epidermal (skin) cell whose dream has always been to become a neuron (brain) cell. Jojo is frustrated by the routine of his skin cell work, until his life changes and he’s drafted in to join the stem cell team. Over the course of the 10-part series, the fate of Jojo’s human ‘host’ – diagnosed with Parkinson’s at the story’s opening – is revealed. Click the image below to watch the teaser video. 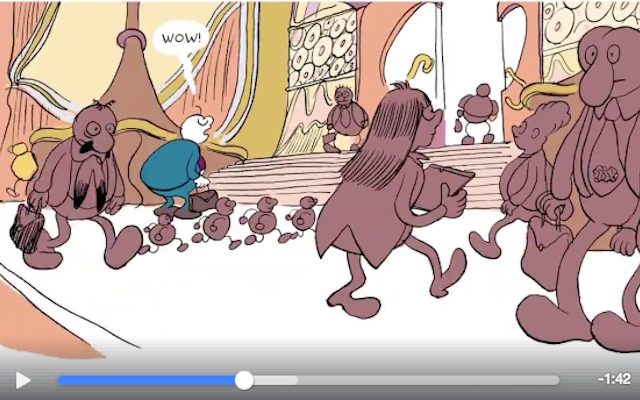 The research explored in the comic is carried out by Dr Malin Parmar, professor of developmental and regenerative neurobiology at Lund University, Sweden. Parkinson’s disease is caused by the premature death of dopamine neurons, and Dr Parmar has been testing new stem cell treatment methods that directly re-programme cells into functioning neurons. Her work involves reprogramming adult skin cells directly into dopaminergic cells – collections of neurons that contain dopamine – and inserting genes into the brain to repair and substitute damaged cells on the spot. Each episode of ‘A Cells’s Life‘ features a ‘science behind the comic’ section of the web platform, which aims to inform readers of Dr Parmar’s research. Episode eight will be released today. To read the comic, which is best viewed on a computer rather than a mobile or tablet, follow this link: ‘A Cell’s Life‘. Dr Malin Parmar is a professor at Lund University, Sweden, where she is focusing on bringing new cell-based therapies for Parkinson’s disease to the clinic by replacing lost dopamine neurons with new, healthy cells. Her work in cellular reprogramming opens up the possibilities of personalised treatments of patients with healthy versions of their own cells. Alessandro Tota is an illustrator and a cartoonist, who lives and works in Paris. He is one of the founders of the magazine ‘Canicola’. His work has been exhibited in Bologna, Modena, Naples, Milan, Helsinki, Paris, Lucerne, Leipzig and Hamburg. For comprehensive information about stem cell treatment please visit the European Parkinson’s Disease Association (EPDA) website. Parkinson’s podcast: when in doubt, exercise!